Set in Gujarat of 1980's, it's a narrative of a nasty and intelligent bootlegger, whose business is challenged seriously and thwarted by an influential police officer. One line Review: The film depicts the journey of Raees from meagreness to wealth by indulging into an illegal alcohol business. Positive Points: Shah Rukh Khan is seen performing some breath-taking action stunts and mouthing charming dialogues. SRK’s charm and performance is the soul of the film. Nawazuddin Siddiqui is his usual best. 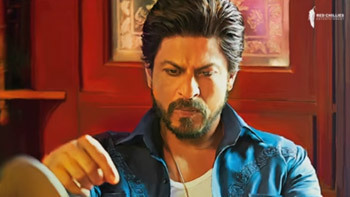 Raees is shot in a realistic setup and backdrop. Also, it is a complete mass entertainer with all the elements of a wholesome Bollywood film! Shah Rukh Khan to start prepping up for Rakesh Sharma’s biopic from May?